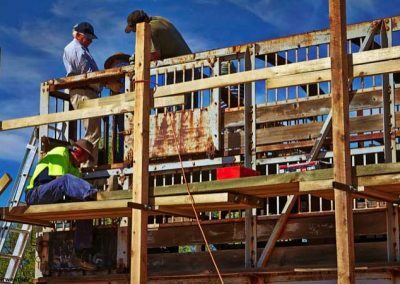 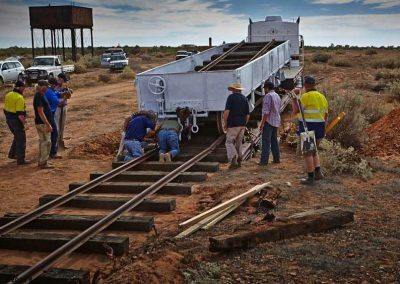 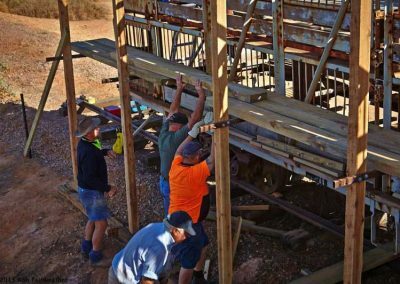 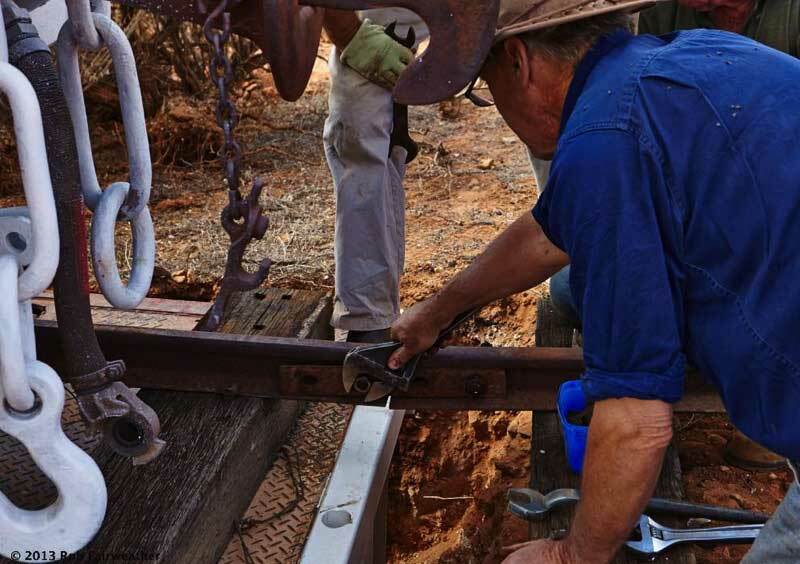 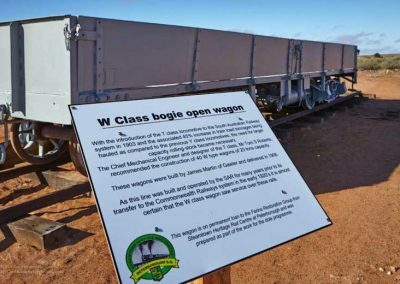 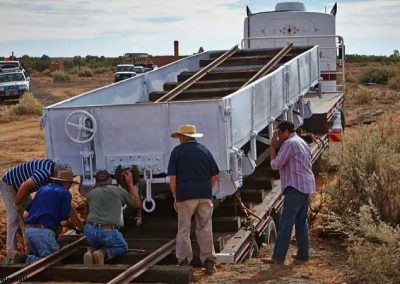 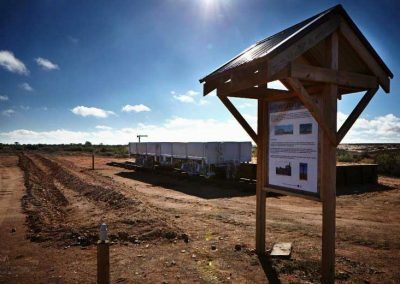 The big news for the 2013 season was the impending arrival of two new (old) rail waggons that were to be installed on short lengths of track on, or near the original locations of their respective loading ramps. 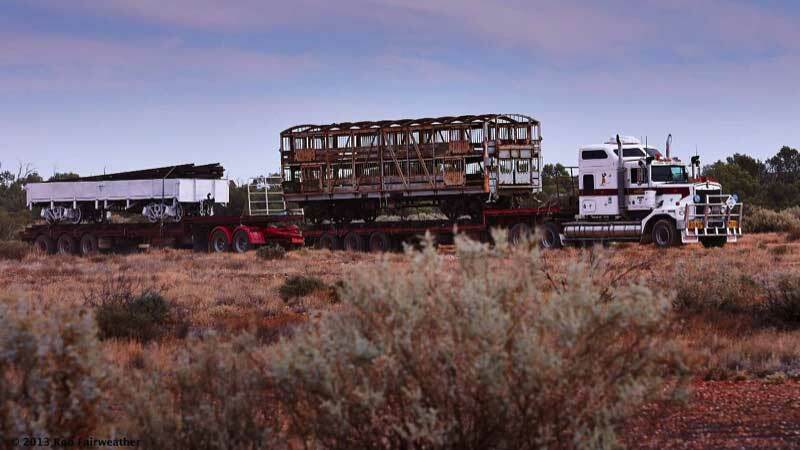 A flat wagon and a stock wagon were carried by road from the goods yard in Quorn by Jeff Fulwood who had travelled all the way from Queensland to do the move. 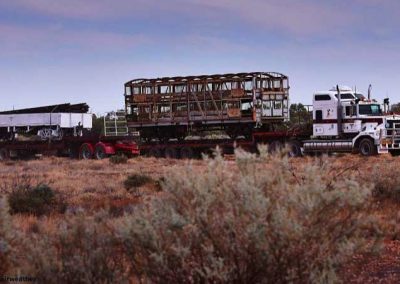 Jeff’s wife Ros accompanied him from Quorn and assisted with the unloading arrangements. 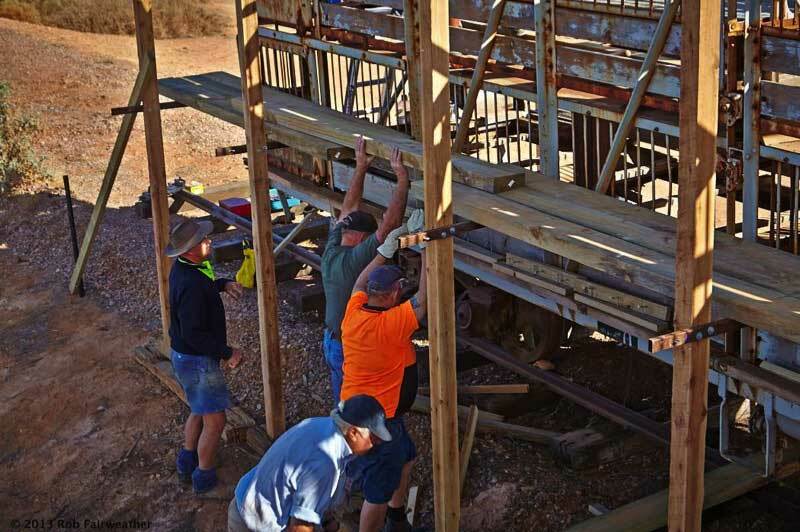 The images above show some of the work and procedures used during the delivery and installation of the two railway cars. 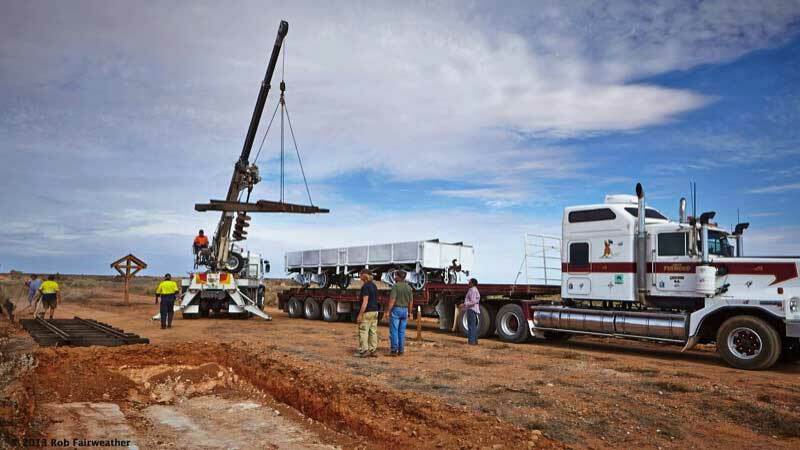 The crane and transport of the trucks, and all heavy machinery used during the procedure were all donated. 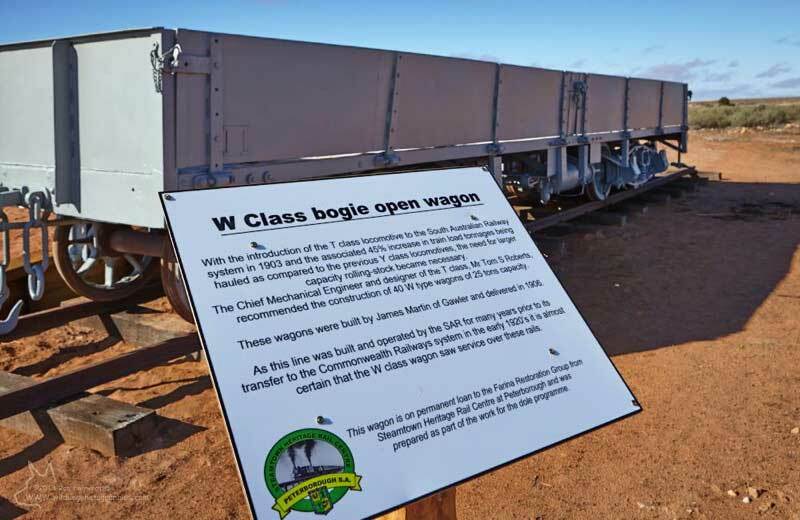 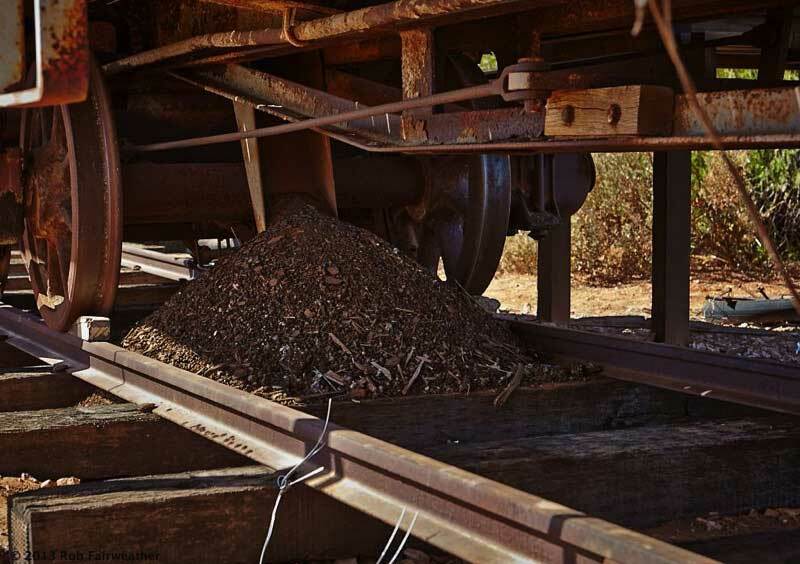 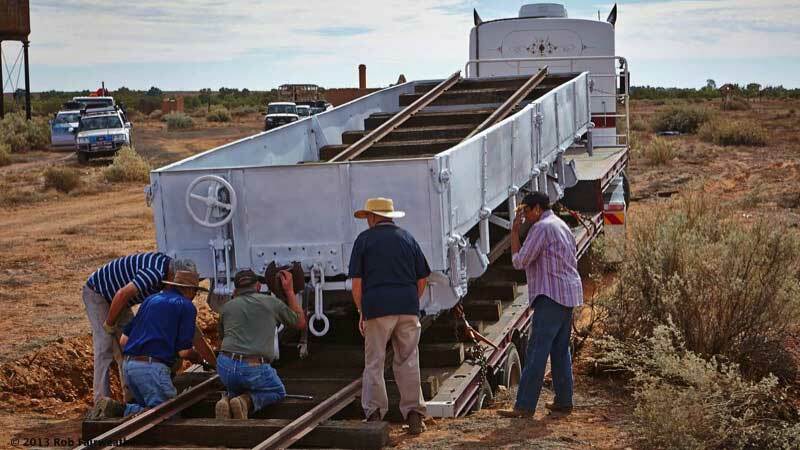 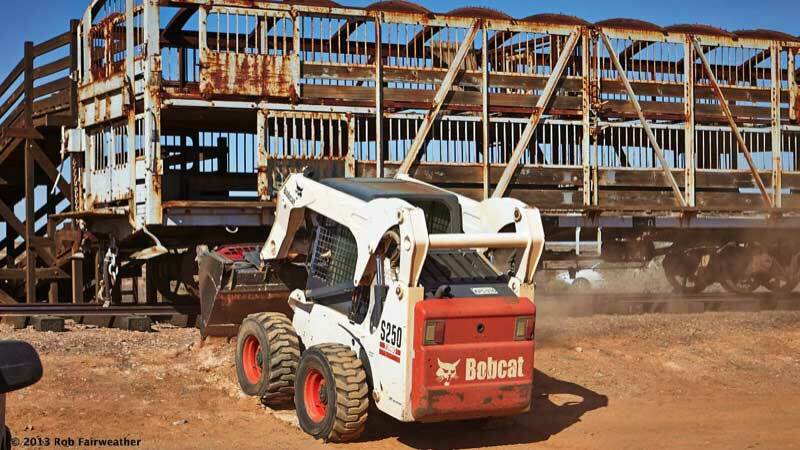 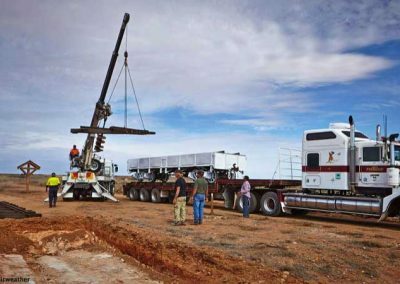 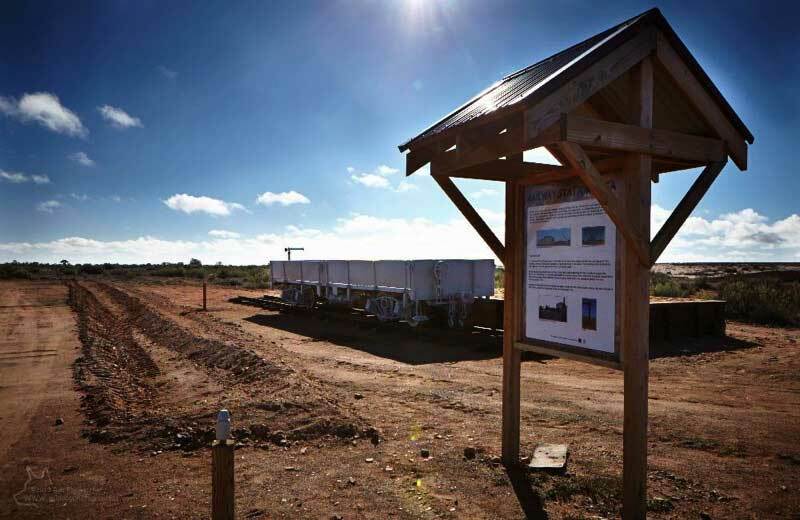 The feat of unloading the heavy waggons was simplified by digging a sloping pit to the depth of the truck trailer, then rolling the waggons off the truck onto pre-assembled rail/sleeper sections. 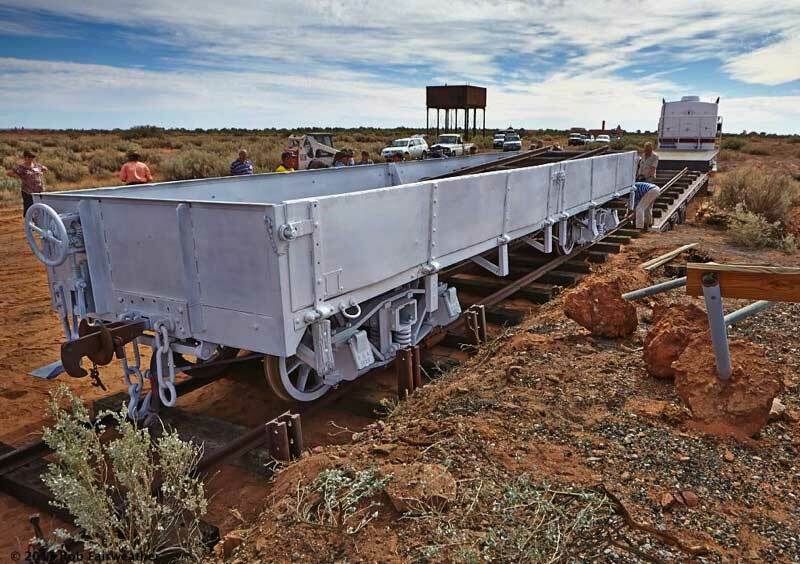 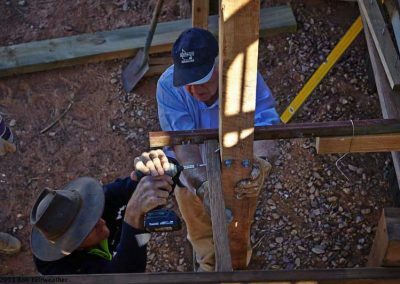 After the waggons were safely installed on their short sections of track, the sloping pit/ramps were filled in. 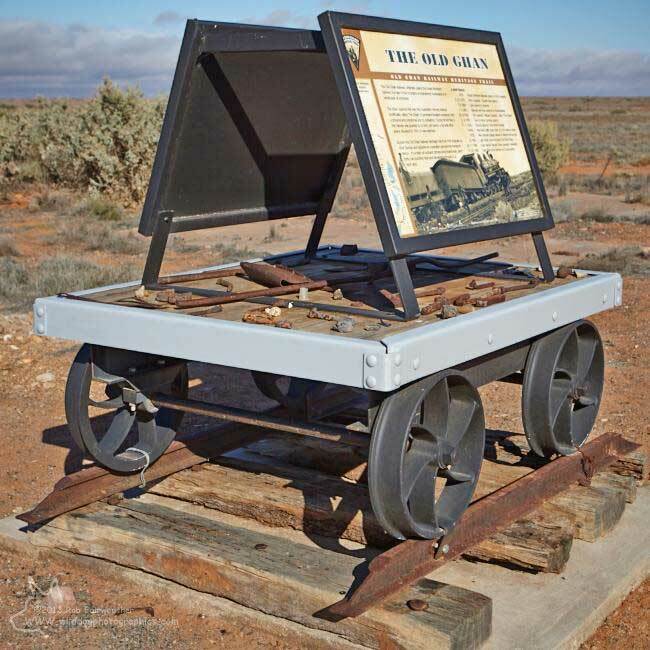 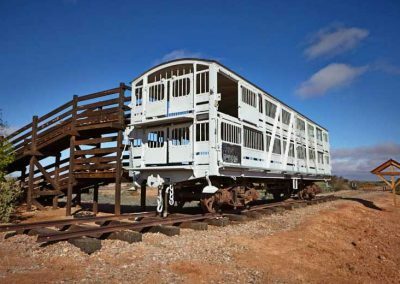 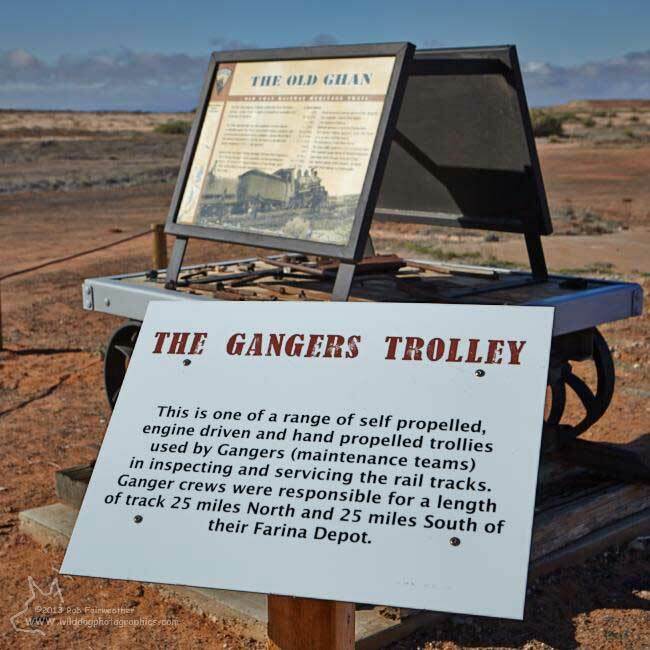 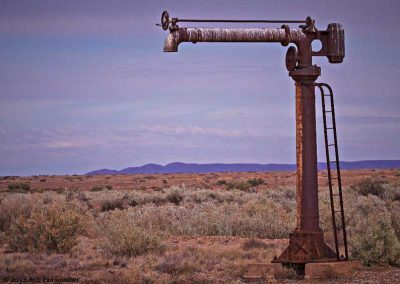 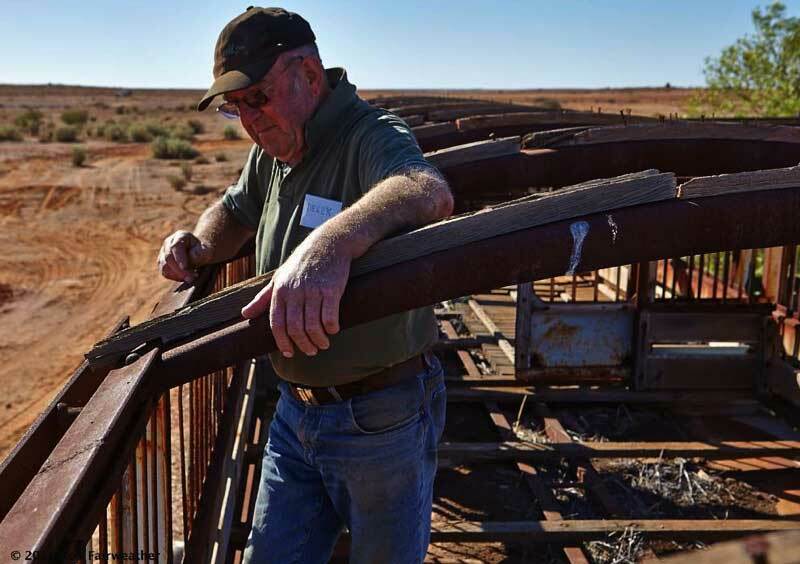 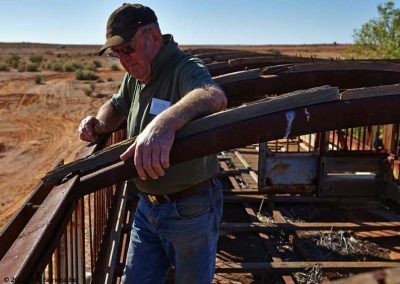 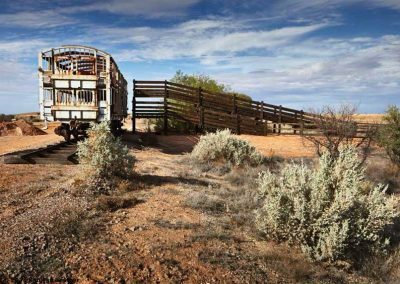 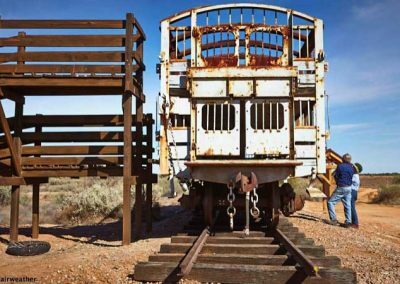 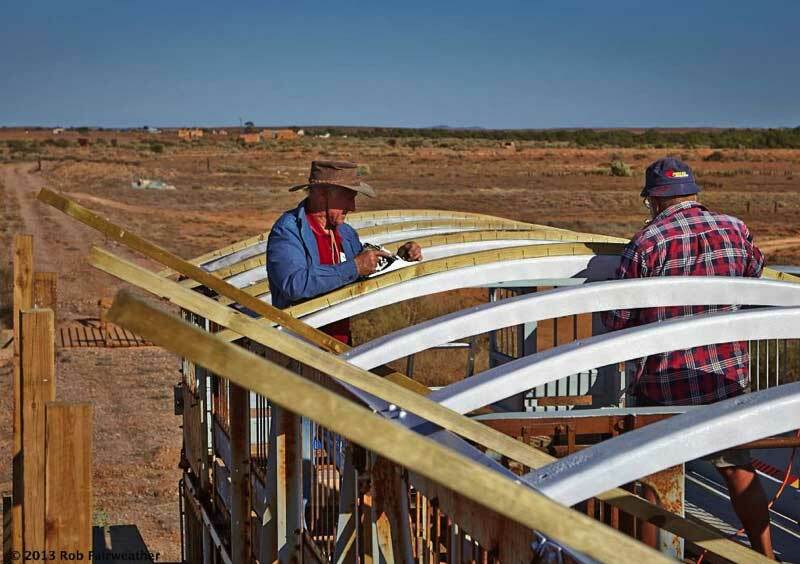 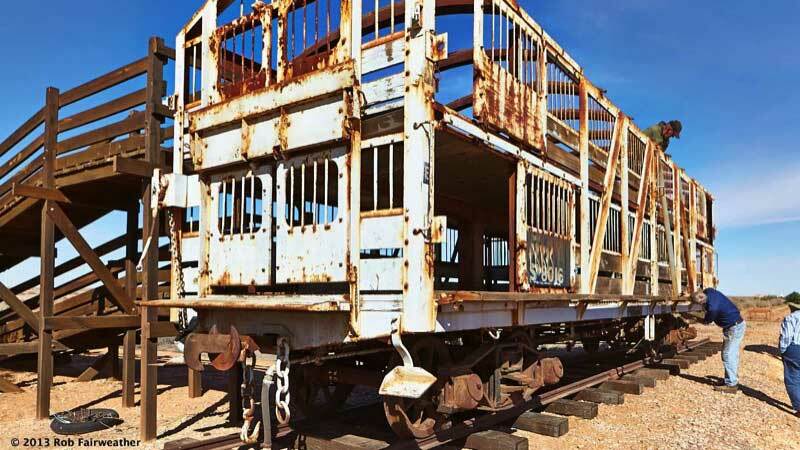 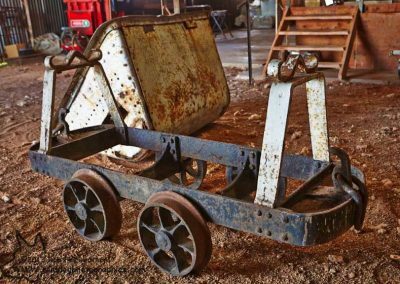 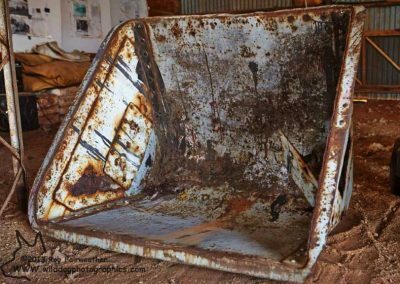 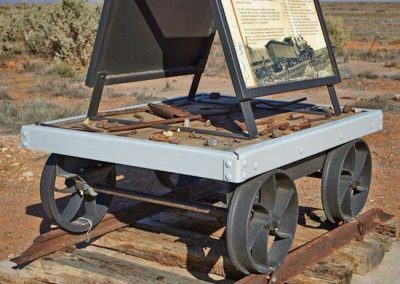 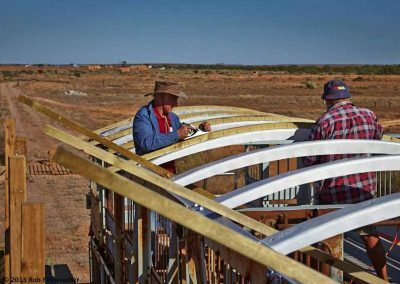 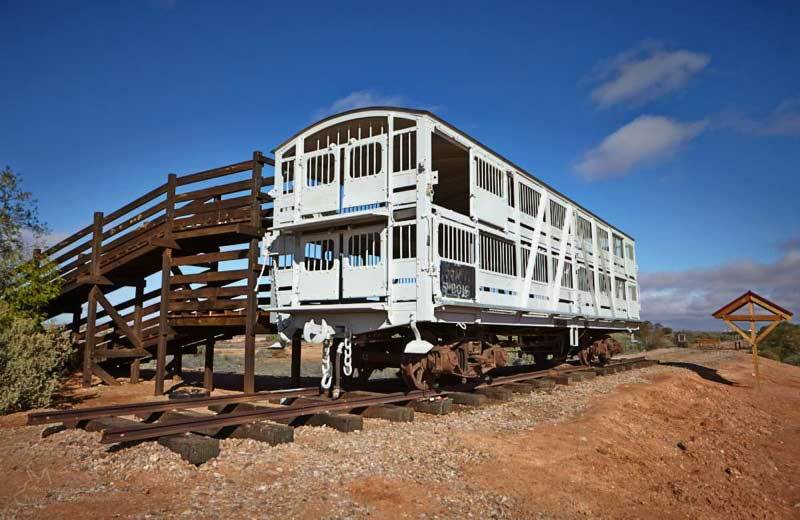 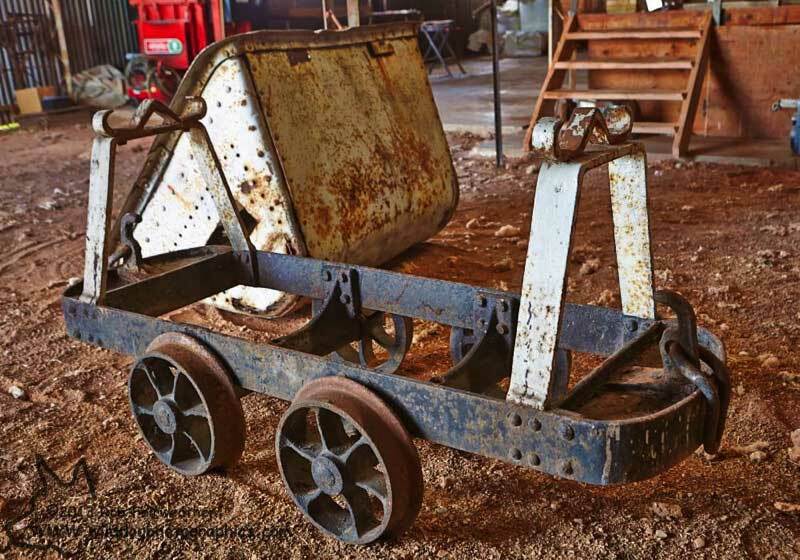 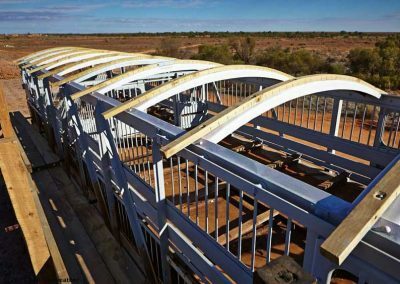 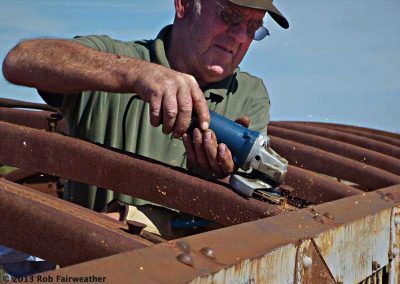 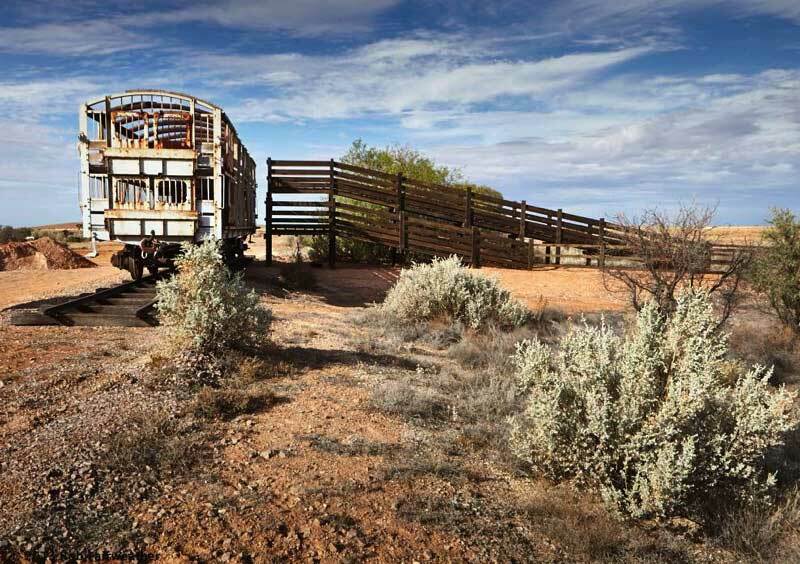 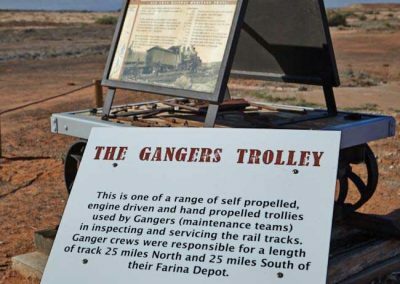 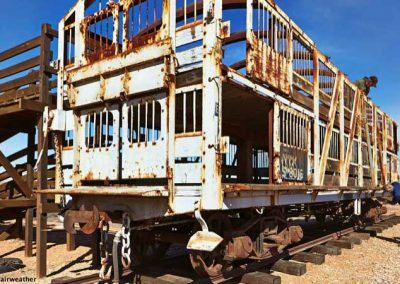 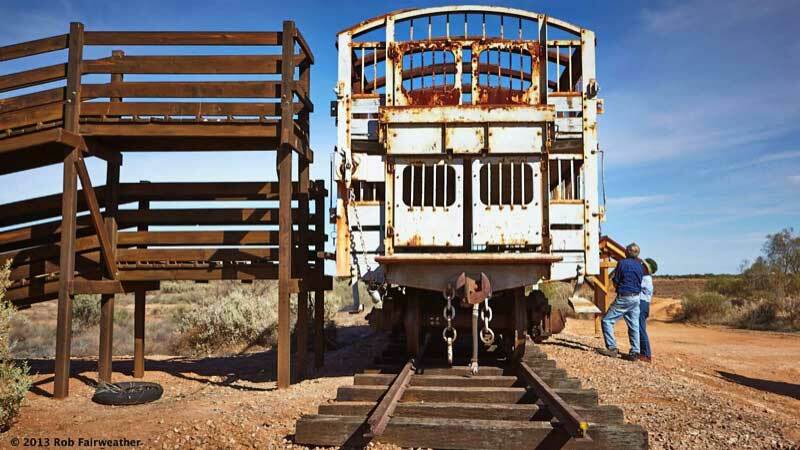 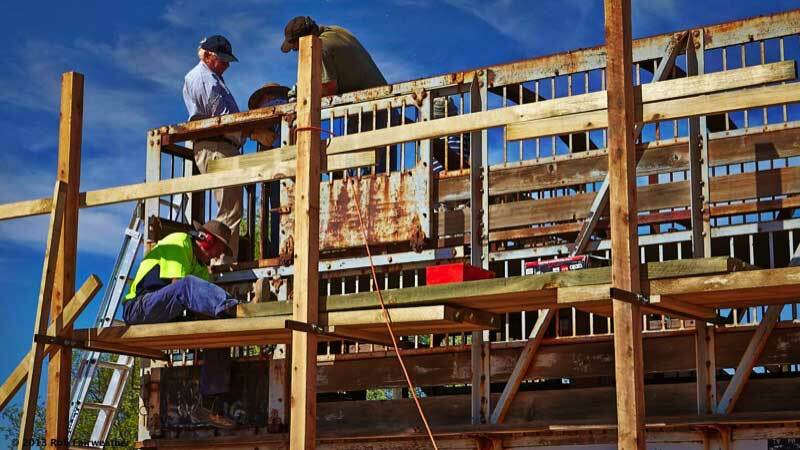 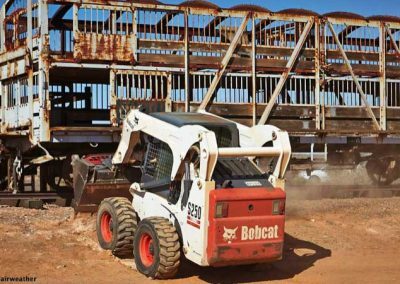 The flat wagon had already been largely cleaned up and painted before delivery, but the stock wagon had to be de-rusted, rotted timber removed and new fabricated in the shearing shed workshops and fitted before it too had to be painted.